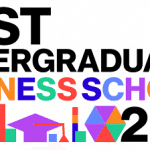 This year’s top rankings in Bloomberg Businessweek’s survey of full-time MBA schools has a few surprises, with Duke’s Fuqua School of Business edging the University of Chicago for the number 1 spot. 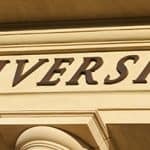 The survey results have no doubt arched a few eyebrows at other elite institutions — including Harvard, which dropped out of the top five for the first time since the poll’s inception in 1988. But beyond the issue of who’s up and who’s down this year — and leaving aside a separate question of whether an MBA is even worth it today — the survey offers important insights into larger business — and specifically talent — challenges. In the spirit of full disclosure, Bloomberg Businessweek has partnered with Cambria for the past 16 years in the administration of its biennial MBA survey, which this year ranks 85 U.S. and 27 international schools. Three ranking components are combined in the poll: student satisfaction and employer satisfaction, which are equally weighted at 45%, and a tally of faculty research, which counts towards the survey’s remaining 10%. Business leaders and talent development professionals might want to take a quick look under the hood at the employer satisfaction component, which speaks to a central question challenging businesses everywhere; How do you hire employees with the right mix of qualities and skills vital for successful leaders today? OK, let’s agree that not everyone is focused on who’s hiring whom among the nation’s MBA programs. But across business, leaders are challenged with finding great talent — especially as the War for Talent rages on and many companies are falling behind in how they recruit, develop, and retain talent. It’s a fact that, as my colleague George Klemp argued in a recent column in Fast Company, today’s talent shortages mean that recruiters can’t find enough qualified people to fill the pipeline. And whether they’re hiring newly minted MBAs or folks with front-line experience, most hiring involves placing a bet on raw talent and untested resources that require ongoing development to shape for future leadership roles. Which brings us back to the rankings. An important take-away, which is new in this year’s survey, is this — Defining what “best” means from the employer perspective is more than institutional reputation or academic excellence, although both are important. It’s also having the qualities needed for leadership and management in the 21st century, where interdependence, globalization, and technology are changing the talent landscape. 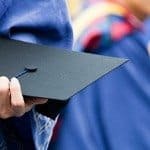 By learning what qualities employers are looking for in MBA graduates, business schools are getting a look at what employers believe is most valuable, and that can have a transformational impact.